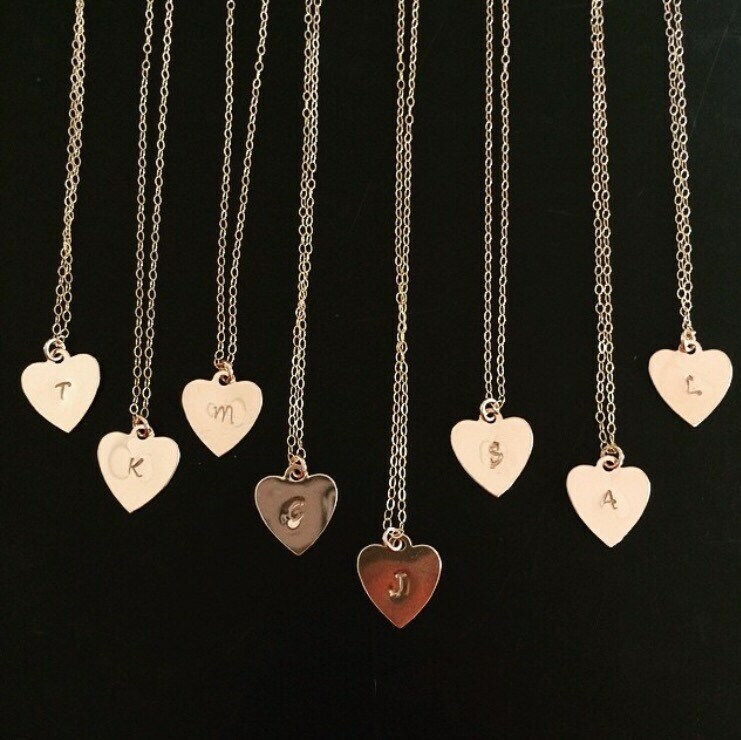 Some wear their hearts on their sleeve, we wear them around our neck! A sweet, little 14k gold filled heart with your custom initial hangs from a dainty 14k gold filled chain. The edges of the heart are very lightly hammered for a unique and extra pretty shimmer and texture. Perfect gift for a loved one or yourself. Don't can be cursive or straight. Just choose font style from the drop box menu. Please combo me if you have any questions!